For two years, I waited tables in a casual dining restaurant. While I had plenty of outspoken customers, I couldn’t always count on someone to tell me if they were dissatisfied. Some diners were easy-going and didn’t want to make a fuss. I probably noticed this because I am one of those diners. Unless there is something seriously wrong with my meal, complaining just seems like more trouble than it’s worth. Sometimes it was a facial expression, or a comment I wasn’t meant to hear, or simply the fact that they had barely touched their food, but I could often tell if they weren’t happy. Since these nice, agreeable people didn’t want to bring it up, I would ask if anything was wrong or if they’d like something else. These encounters often turned out really well. Because I noticed there was a problem and actively sought out the issue, customers knew that I cared about their experience. Afterwards, they would leave satisfied and often return to eat there again. If I had ignored the signs that they were unhappy, they would probably sit through the meal, pay their bill, and never come back. Sometimes you have to go looking for trouble if you want to succeed. This method of actively listening to customers and improving their experience applies far beyond the restaurant industry. This proactive customer service is gaining popularity in many business sectors and offers some valuable insights for nonprofits as well. In this blog, I will go over the key ideas behind this approach and show how you can use them to retain and delight donors. Our traditional concept of customer service is reactive. In a department store, for example, there is a desk for customer service. Patrons must seek out the desk and ask for help with their problems, they may even have to wait in line. Another form of reactive listening from companies is when a customer (or donor) calls a help line. If they have an issue or question they must take action to get guidance from the organization. In both of these examples, the organization listens to the problem or question and then reacts. The problem is that this places the burden of initiation on the customer (or donor). And some people will simply not initiate. They may choose to disengage (stop buying or donating) without ever voicing their problem, like the customers who didn’t want to complain at the restaurant. 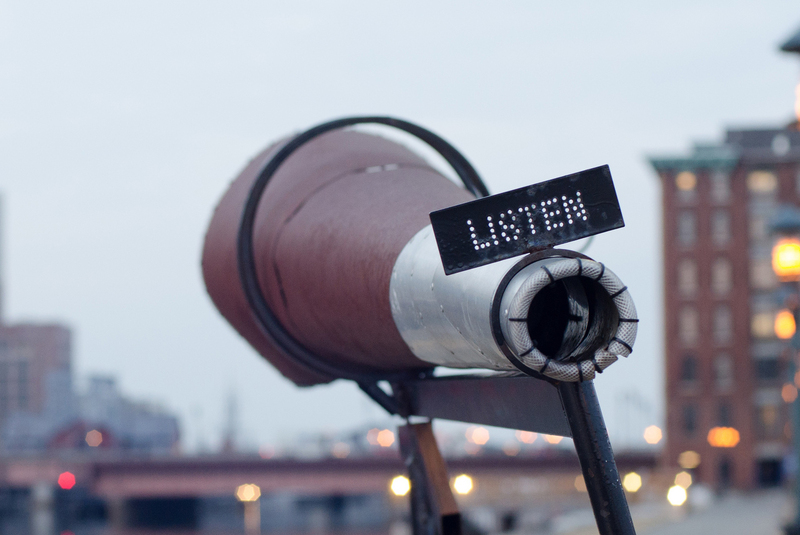 You may be losing out on revenue if you rely solely on reactive listening. In contrast, proactive listening is initiated by the organization. Lately, I’ve been trying to brush up on my French with the online language learning site, Duolingo. If I don’t log on and do any exercises for a few days, Duolingo sends an email to remind me. This is proactive listening because I didn’t have to go looking for their attention. Because they know when individual users are working through lessons, they can identify when someone who was learning has stopped. Duolingo benefits from having active users, but their proactive customer service also helps me reach my goal of becoming fluent. Here at Classy, we answer fundraising or technical questions when a partner needs help, but we don’t always wait to be approached. Any company must practice good customer service, but we also want to offer customer success. Customer service can help you keep customers who ask for help, but customer success can satisfy and delight the customers who might never ask. In recent years, a number of companies have formed specifically to help businesses listen proactively and promote customer success. Companies like Totango and Frontleaf draw existing information from CRMs, billing, and product use to help clients find customers who are at risk of disengaging. While the use of these services may not be realistic for all nonprofits, you already have much of this useful information. Paying attention to this data can help you find opportunities to increase donor retention and satisfaction. To use proactive listening to hold onto donors, you have to think of the reasons donors disengage and stop giving. Your donor database is great place to start. If someone was giving annually but hasn’t made a donation in the last year, you can call and ask if there is a reason they have lapsed. Their finances might have changed, making them unable to donate, or they could have simply forgotten. In the best case, the reason was trivial and they donate again. Worst case scenario, you get some negative feedback that helps you improve. If your organization has recurring donors, it is especially important to monitor their billing information. If the credit card you have on file expires, you may lose that monthly revenue even if they would still like to support you. Similarly, periodically verifying donors’ mailing addresses can help you stay in contact with donors who want to help. Then there are situations in which a donor is at risk of leaving because they are dissatisfied. Your job as a proactive listener is to notice the signs and address them head on. Just like when I asked diners at the restaurant what was wrong, paying attention and asking for feedback from donors shows that you care about their experience. One way to do this is to ask donors and subscribers to complete surveys. Don’t be afraid to ask for criticism. • Did you find the donation process easy to complete? • What was the least convenient step of the donation process? • What kind of updates would like to receive? Finally, social media can also be helpful in identifying dissatisfied donors or supporters. You probably already know how important it is for nonprofits to be active on social media, but being active isn’t just posting your own content. Part of what makes social media so popular is that people and organizations can interact with each other. Read comments on your Facebook page and search for references to your nonprofit on Twitter and social media. If someone is critical of your organization, you can try to work with them to repair the relationship. Seeking and engaging with lapsed or dissatisfied donors may sound less than enticing, but we all know that it is much more cost-effective to retain donors than to recruit new ones. Proactively listening can build trust within your community and convince supporters to keep supporting you when an issue comes up. Always use your best judgment, however, to decide if criticism is valid or unreasonable. The goal is to notice when you are losing valuable donors and take action to renew their commitment.